by Aron, Raymond, Mahoney, Daniel J., Anderson, Brian C.
Aron, Raymond, Mahoney, Daniel J., Anderson, Brian C.
A classic of international relations, the starting point of Aron's book is the state of nature that exists between nations, a condition that differs essentially from the civil state that holds within political communities. 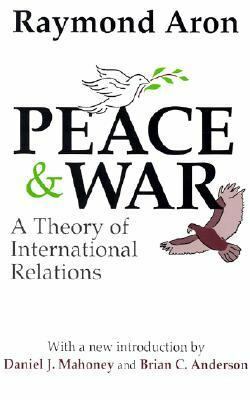 The introduction to this edition places it in the post-Cold War context.Aron, Raymond is the author of 'Peace and War A Theory of International Relations' with ISBN 9780765805041 and ISBN 0765805049. Loading marketplace prices 77 copies from $29.32 How does the rental process work?